Women who carry the BRCA1 gene mutation that dramatically increases their risk of breast and ovarian cancers are also at higher risk for a lethal form of uterine cancer, according to a study led by a Duke Cancer Institute researcher. 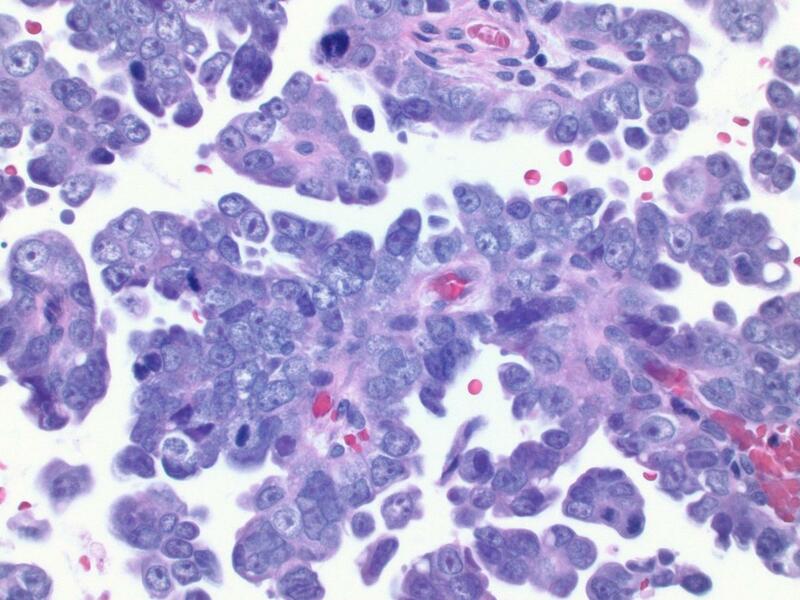 This newly defined risk -- the first to show a conclusive link between the BRCA1 gene mutation and a small but significant chance of developing an aggressive uterine cancer -- could become a consideration in weighing treatment options. Currently, women with the BRCA1 mutation often have preventive surgeries to remove both breasts, as well as their ovaries and fallopian tubes, based on studies showing that the gene mutation elevates their risk for cancers in those organs. But conflicting evidence has created controversy over the need to remove the uterus. Smaller studies identified a link between the gene mutation and uterine cancer, but the evidence to change practice has hinged on results from a well-designed study using a larger patient population from multiple sites. In the current study, published online June 30 in the journal JAMA Oncology, Kauff and colleagues from nine other institutions in the U.S. and the United Kingdom analyzed data from 1,083 women. All had BRCA1 or BRCA2 genetic mutations, had undergone removal of their ovaries and fallopian tubes, and were followed for a median 5.1 years. Incidences of uterine cancer in the BRCA-positive women in the study were compared to the rates that would be expected in the general population, based on data from the U.S. government’s Surveillance, Epidemiology, and End Results program, or SEER. Among the BRCA-positive women, there were eight uterine cancers reported within the study period -- a rate that was slightly higher but not statistically different than the national norm. Of those eight cancers, however, five were of an uncommon subtype called serous endometrial cancer, which is especially aggressive. All but one of the serous endometrial cancers occurred in women with the BRCA1 genetic mutation (one occurred in a patient with BRCA2 mutation). Given the incidence of this cancer in the wider population, only about .18 cases would be expected among women with the BRCA1 mutation over the time period analyzed, putting these women with the BRCA1 trait at significantly higher risk. Kauff said the findings are especially important because serous endometrial cancer has a mortality rate of 50 percent and is preventable for women who are already undergoing surgical procedures to remove their ovaries and fallopian tubes. “Our findings suggest that it may be important for women with BRCA1 mutations to consider removing their uterus at the time they are considering removing their ovaries and fallopian tubes, unless they are hoping to still have children using assisted reproductive methods or have other medical reasons,” Kauff said. Kauff cautioned that for women with BRCA1 mutations who have already undergone surgeries to remove their ovaries and fallopian tubes, the findings are less clear. “We need additional studies to address whether a 25-year risk of serous uterine cancer of 2.6 percent to 4.7 percent justifies the costs and potential complications of a second surgery,” Kauff said.